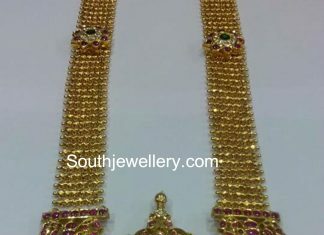 22 carat gold antique gold haram with peacock pendant studded with kundans. 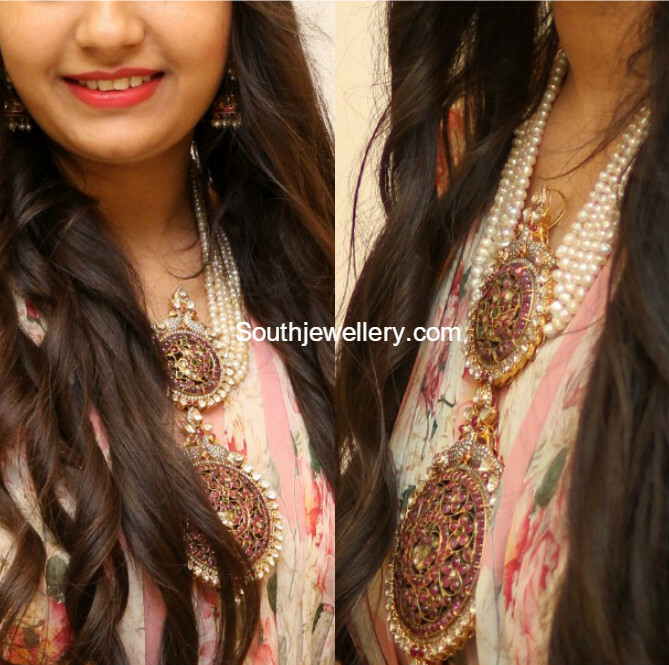 22 carat gold nakshi balls and south sea pearls mala with kundan pendant. 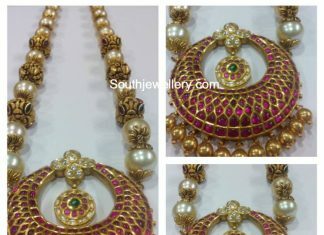 Multistring pearls haram with two step peacock pendant adorned with kundans, flat diamonds and precious stones by Musaddilal Gems and Jewels, Hyderabad. 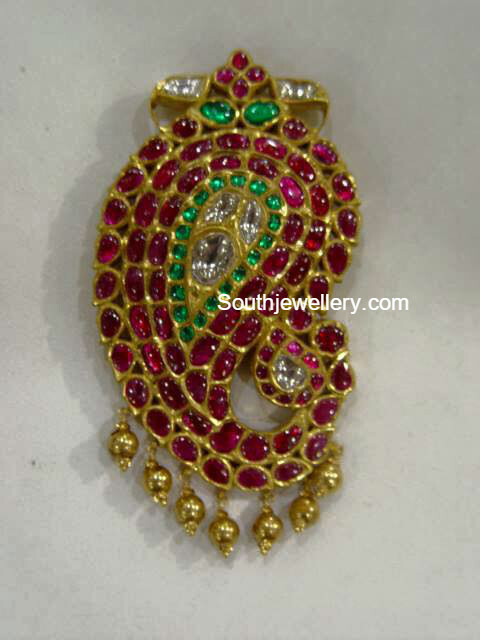 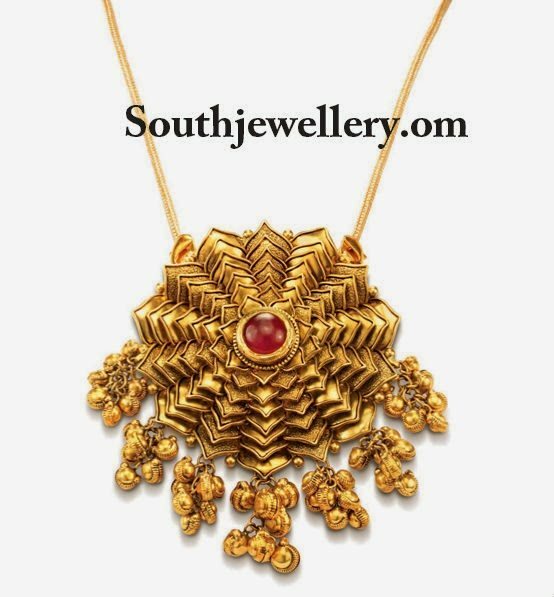 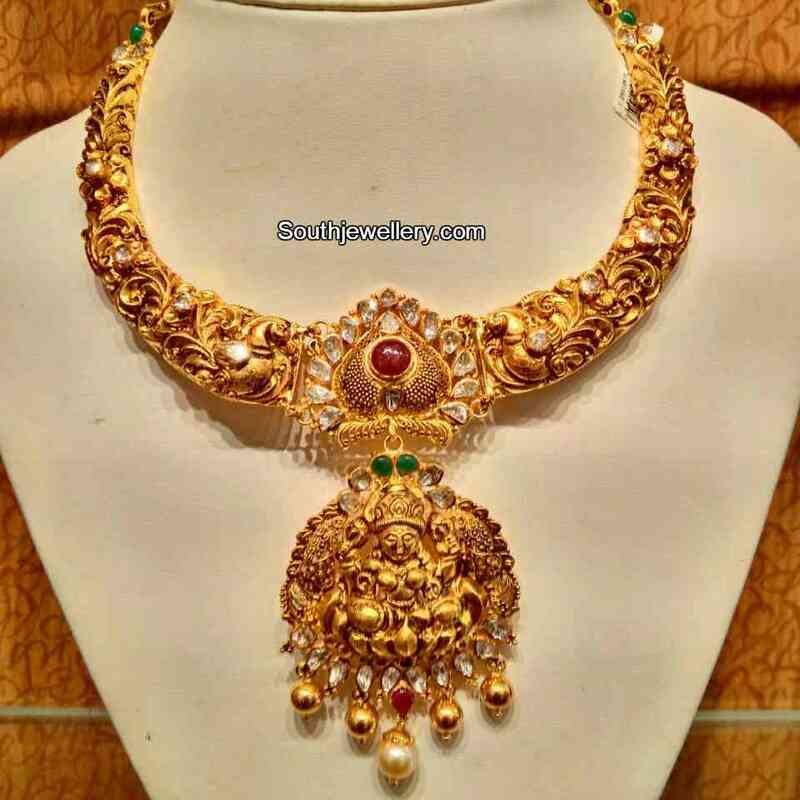 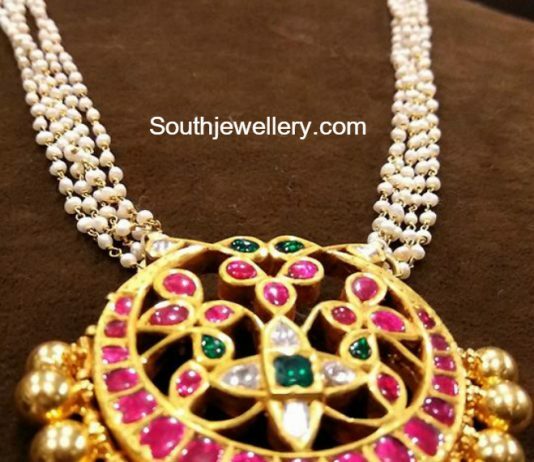 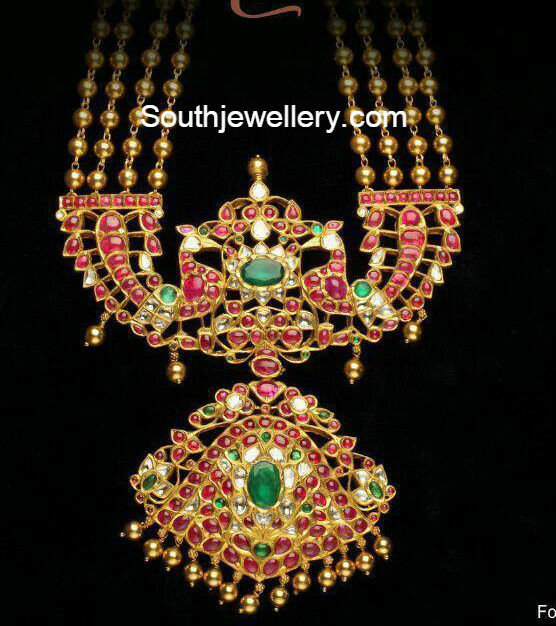 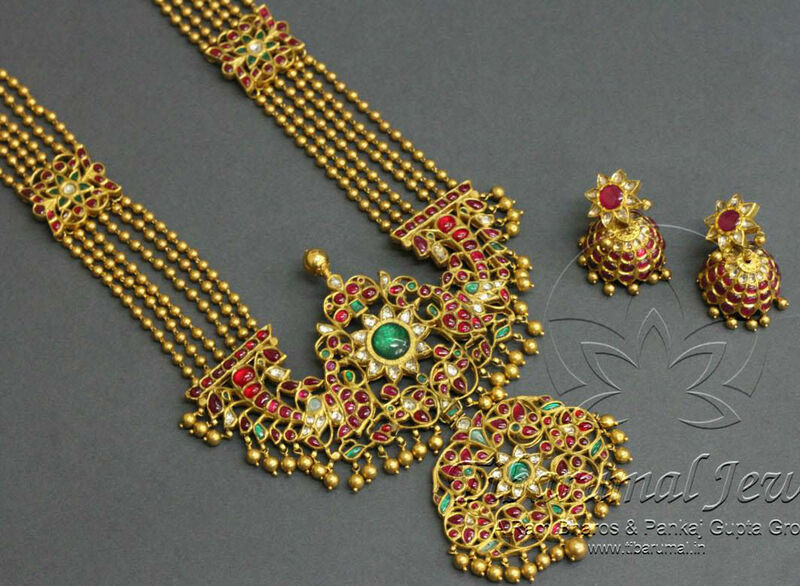 22 carat gold antique mango pendant studded with kundans. 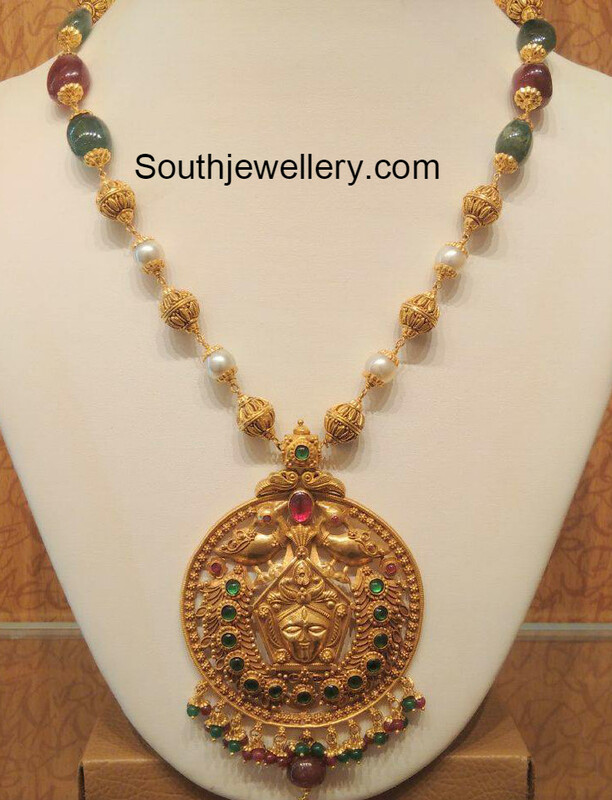 22 carat antique gold gundla mala with beautiful kundan peacock pendant.